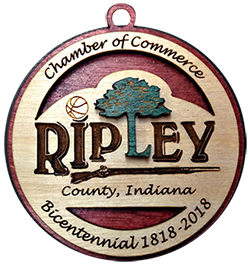 If you would like to become a member of the Ripley County Chamber of Commerce, please submit your information and we will be in touch with you. The Chamber looks forward to welcoming you to the community! If you have any questions about membership prior to joining, feel free to send us a message or give the Chamber a call at (812) 689-6654 during normal business hours, and we will be happy to assist you.